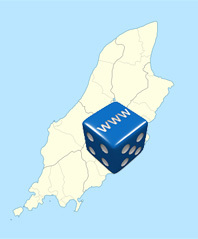 The biggest torrent search is moving its domain location to Isle of Man to provide stable torrent serving from there. Main reason for such move is to improve the site’s uptime. KickassTorrents has millions of users. KAT has recently become the number one torrent site on the web, leaving even the Pirate Bay behind. KAT has been moving its domain to new locations regularly. Often there have been legal actions and domain seizures, but the team has also a practice to change the domain extension at least once a year. The IM Registry told media that they do not tolerate copyright infringement, but on the other hand they do not suspend domain names for no reason. There has to be a legal document for domain seizure according to the domain administrator in Isle of Man. The best news is that after the domain move, KickassTorrents will be accessible again in the areas where it had been blocked before. All the links that had been removed from search engines will appear again under the fresh domain. KAT had more than 2 million links deleted from search engines. This is one of the reasons we might see more domain switches from torrent sites in the coming future.